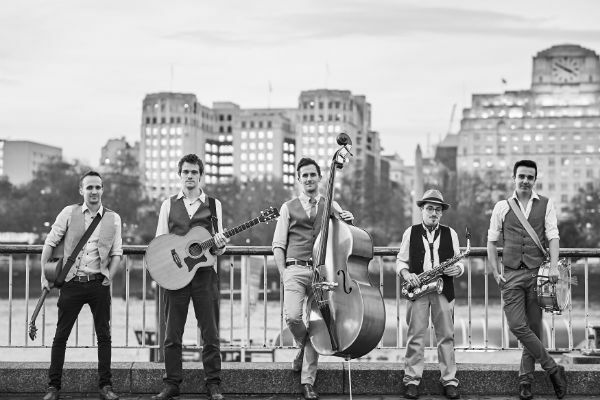 The Travelling Hands are the UK’s leading International Acoustic Roaming Band. With corporate clients including Google, HSBC, British Airways, Formula 1, Jaguar Land Rover, Help For Heroes, Air Canada, Cancer Research UK, Avis, Taylor Wessing, City AM, WH Smith, Boots, Epson, & Kwik Fit to name a few; you can book The Travelling Hands knowing in confidence that they have earned their solid reputation through bringing great live music to every event. 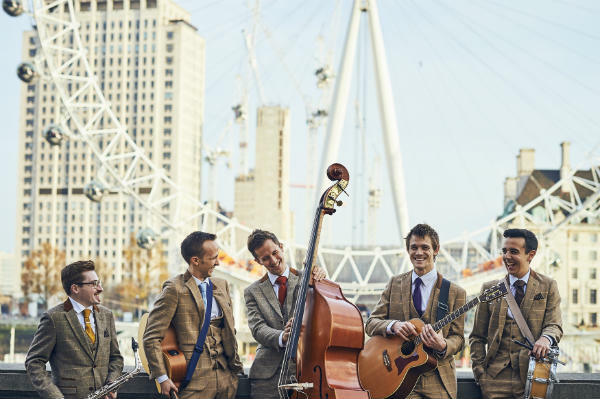 As a premium acoustic Roaming Band, they have played at venues including: Wimbledon Tennis Championships, The Mulia Bali, Chillon Castle (Geneva, Switzerland), Isola Del Garda (Lake Garda, Italy), The Shard, The Ritz, Claridge’s, The Palm Beach Casino, The Corinthia, The Langham, Hampton Court Palace, Kensington Roof Gardens, Grosvenor House, The Ham Yard Hotel and countless other luxury venues in the UK and beyond. This is one acoustic Roaming Band in serious demand. 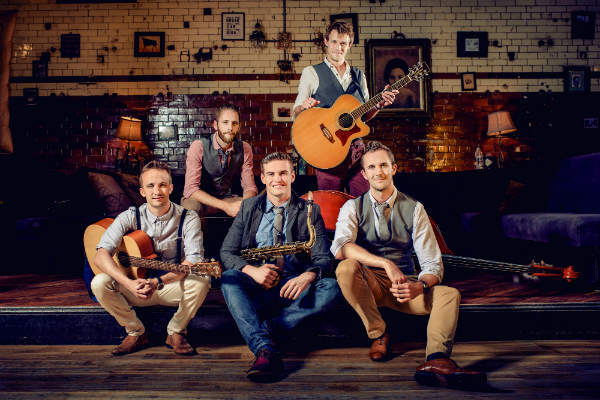 Combining acoustic guitars, percussion, saxophone, double bass and a whole lot of harmonies, The Travelling Hands offer a fresh delivery of live music through their arrangements of classic songs and modern hits in a warm, feel-good style of performance. 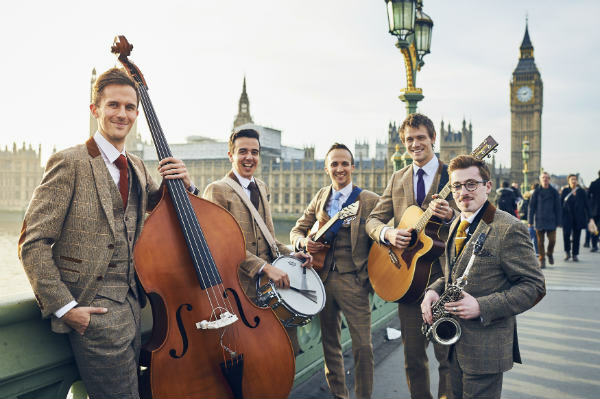 Together, these musicians perform as a 3-6 piece band (offering the 5 piece lineup as standard) and the blend of their instruments creates the perfect bed for harmonised vocals. 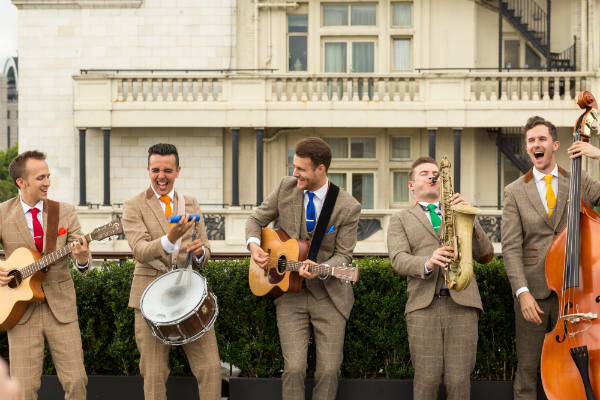 If you want the full sound of a complete band, with a more acoustic delivery, or you’re just looking for a performance with a twist, then The Travelling Hands are the band for you. 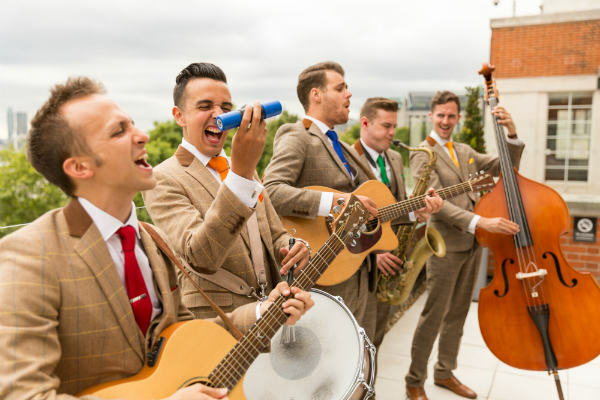 These corporate entertainers will leave your guests with some incredible memories of your event that will last a lifetime. 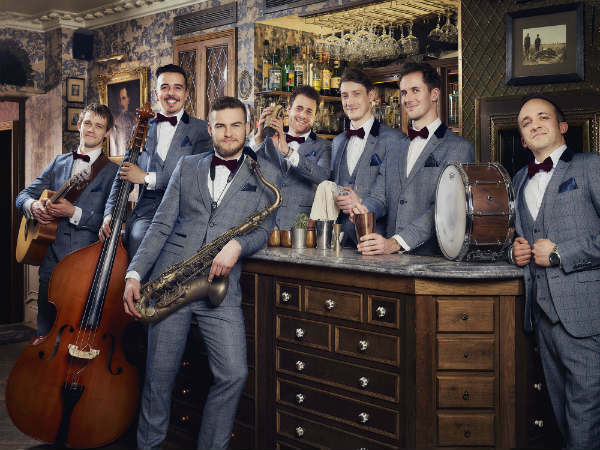 – The UK’s leading walk-around act moving around your event and performing to different tables or groups of guests that they come to, OR as a fixed band in one spot with sound system. – Flexible styles of music to suit any occasion. – Repertoire includes classic songs and modern hits performed with a warm, feel-good British twist. – Highly experienced band members each with over a decade’s worth of gigging experience worldwide. – Professional, friendly and positive attitude. 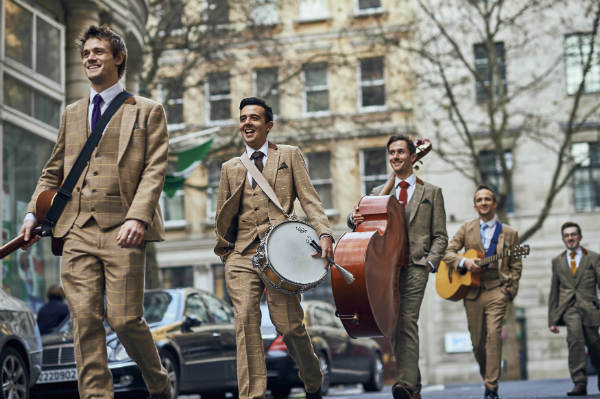 With six instruments playing together, it’s very easy for the band to play a more relaxed set or a more lively one, so no matter whether you’re hosting a black tie dinner or an informal birthday party, you can be confident that the band will look and sound the part for your event. If you’re looking for an acoustic band to perform with a live sound system instead of the walk-around option, The Travelling Hands have it covered for you as they also regularly perform as an amplified band – simply connect us with your AV team for your event and we can perform either as a static band in one place OR as a band with wireless microphones and instrument packs (meaning that we can still roam around your event providing our intimate sets to different groups at your event but whilst every guest can hear us at the same time). Perfect for events where where you’d like the music to feature more prominently at your event. We can’t thank you guys enough for agreeing to make the trip to Isola Del Garda to play at our wedding. Jasper and I fell in love with your music the moment we heard you play. All our guests have been saying how much they loved you. We thank you from the bottom of our hearts. If only all bands were as good as you guys! Thank you so much for yesterday. You guys were AMAZINGGG!!!! Will be sharing your details with everyone; they all were amazed and very impressed. Thanks again! 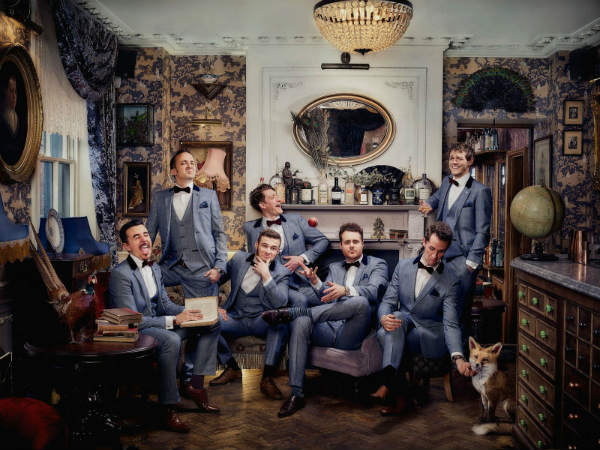 I just wanted to say a huge thank you to you and the guys for entertaining our guests last night at The Launch of the Collection Events. We actually did not expect people to dance, but once you started playing people could just not contain themselves, which is perfect! We will be absolutely 100% recommending you to our clients for their events and look forward to working with you again in the coming weeks. Thank you for making our wedding so amazing! You made the whole day for us and really can’t say enough how happy we were to have had you guys there. They were fantastic. They went down really well and were a pleasure to have perform for us. 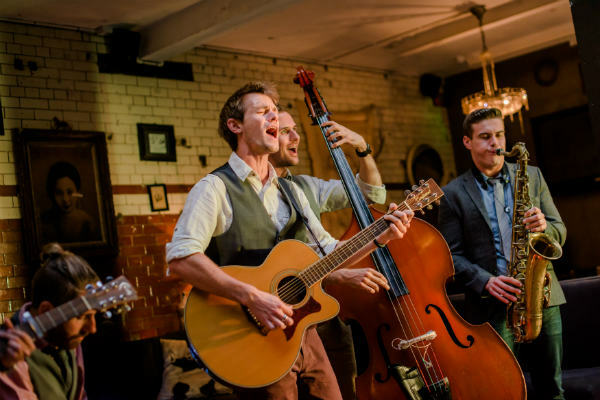 We wanted to thank you for playing at our wedding at Babington House – you guys were amazing! Without doubt, choosing you to play at our wedding was one of the best decisions we made. 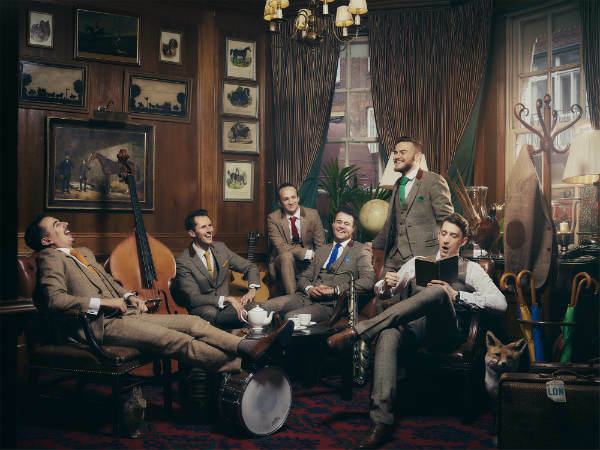 You delighted our guests with happy, feel good music perfect for the occasion. Starting with “Higher and Higher” in the church, you personally gave us a memory that will last a lifetime. And every guest we talked to after the wedding every one of them – mentioned the Travelling Hands as being one of the stand out moments. 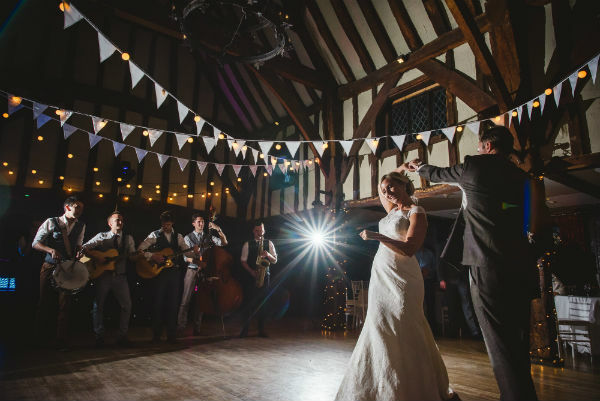 Thank you so much for adding such a great atmosphere to our wedding reception. Just wanted to send a massive thank you to you and the guys for making our day even more special. You were absolute stars and I wouldn’t hesitate to book you again or recommend you to others. Thanks for making our street party such a success yet again. Your choice of music was excellent, you sounded fabulous and, most importantly, you got people dancing. You were fantastic! Real entertainment at it’s best.